Undocumented and Uninsured is the first study about and by immigrant youth on health care access. 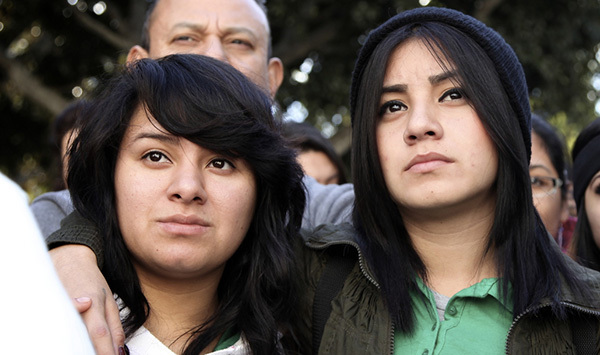 Researchers surveyed 550 immigrant youth throughout California–including undocumented youth and youth recently granted Deferred Action status. The report found that anti-immigrant sentiment in the United States has resulted in the development of exclusionary and discriminatory policies, impacting the undocumented immigrant community across the nation. Immigrant families continue to suffer a lack of services and protections under the Affordable Care Act, which explicitly targets undocumented immigrant communities for exclusion. The failure to fully support families does not fit the goals and objectives of the Affordable Care Act, and denying care to undocumented Californians has profound repercussions. Immigrant communities absorb and internalize their experiences of exclusion, leaving them ill, frightened, and without access to care. Across immigrant communities, many are now calling for systemic policy reform that truly prioritizes health for all. Recognizing that health care is a human right, rather than a privilege, allows for a broader conversation that considers the well-being of all Californians.